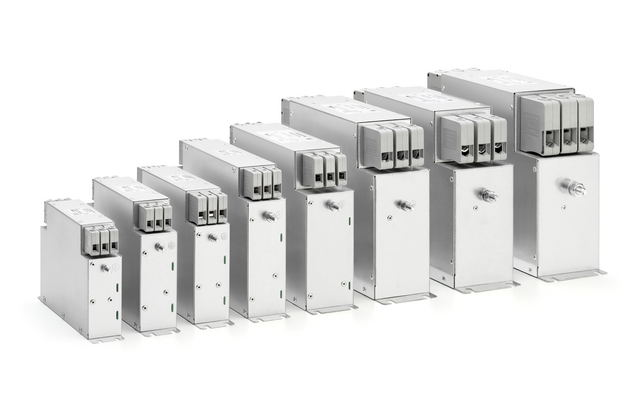 Schaffner introduces FN 3287 and FN 3288, two series of 3-phase EMC/RFI filter for inverter and power drive systems, with a compact and book-style design. These products are based upon the latest component technology within an optimized packaging. All models are CE, UL and ENEC approved and RoHS compliant. The design of machines and installations can be optimized to meet the EMC standards in case the EMC filters are being considered already during the start of the design-in phase. The new filters are based on a new design structure resulting in a significant footprint reduction and allowing to integrate the connection terminals within the filter cubical. 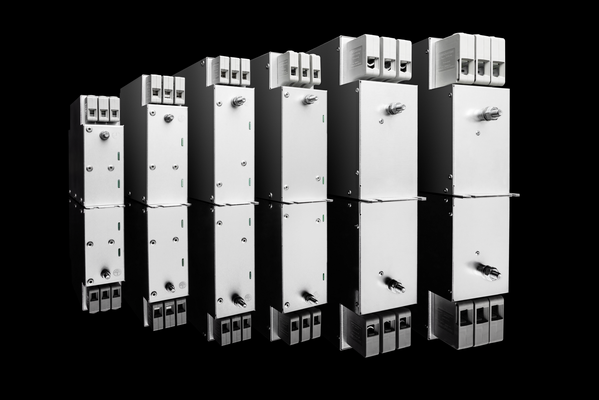 With FN 3287 and FN 3288 product series, Schaffner can provide compact and widely usable solutions from 10 to 160 A to accomplish standard, or high-attenuation, performance requirements as well as low leakage current fulfilment. FN 3287 and FN 3288 series are available with 11 current ratings from 10 to 160 A. Both series are available for 480 VAC and the FN 3288 series also for 690 VAC and IT network applications.